Computer technology is evolving faster than ever, and the need for computer professionals is at an all-time high. Individuals with a background in computer technology are in high demand—you’re wanted nearly everywhere, from offices to universities, and even civic organizations. A career in computers offers a variety of opportunities, relatively high job security, and great pay. There is a wide range of fields that you can enter once you have a degree in computers. These include computer engineering, computer science, and information technology. Most careers will require postsecondary education such as an associate or bachelor’s degree in computer science. Post-graduate degrees will help you increase your skills and enhance your opportunities for a higher-paying job. Tuition will vary due to the vast expanse of programs and degrees available to the field. On average, an associate degree at a community college will cost students $3,500 per year. A bachelor’s degree at a public university costs closer to $10,000 annually, not including housing. Private universities run closer to $34,000 a year. These prices go up every year, and will continue to do so for the foreseeable future. Typing at lightning speeds while staring intently at a computer screen, computer network specialists are the eyes and ears of the technology within an organization. Computer network specialists design, implement, secure, and troubleshoot networked computers within a company. Also referred to as a information technology (IT) specialist or a network administrator, computer network specialists are the ones to thank for a properly working computer system in a company or organization. Your job is to solve problems, like when a computer freezes up, accounts have been hacked, or connection to a network cannot be reached. You also have extensive knowledge to secure and develop networked computers. Network analysts are responsible for maintaining the security of a company’s network, troubleshooting calls and emails, and diagnosing issues and offering repair instructions remotely. To perform such tasks, you must have substantial knowledge of network connectivity, protocols, network security devices, network types, and operating systems. Additionally, computer network specialists must monitor network access, security threats, problems with connectivity, and configure security devices to ensure the safety of company software systems and data. You’ll be found in the IT department of a company or business, and you will work closely with programmers, designers, and IT managers to complete each task. Network analysts must have good communication skills in both technical and non-technical language—you will deal with team members, vendors, internal and external clients, and technology professionals. It is crucial that a network analyst has the accurate knowledge of each machine and computer program to properly handle every troubleshooting error and customer complaint. Get your bachelor’s degree in computer science, network technology, software engineering, or information security. Some companies will hire you with a certificate or an associate degree, but most prefer bachelor’s degrees. Through the education process, you will receive both classroom instruction and hands-on experience in network fundamentals. Several organizations offer professional certification in the computer network industry. Certifications allow you to demonstrate your knowledge of the networking to the desired employer. Certification can be earned in CompTIA’s Network+ and Security+ credentials, Microsoft Certified Technology Specialist, or Cisco’s Certified Network Professional. As a computer network professional, you can expect a median annual salary of just under the $80K mark. Later in your career, you could bring home more than $127K per year. Chances are, you’ll be working more than 40 hours per week to earn that hefty income, though. Average growth (6 percent) is projected through 2026, meaning around 23,900 will open up. However, if you are going to be in the systems design industry, jobs are projected to grow over 20 percent. If you stay up to date with the latest in cloud computing, plus have a bachelor’s degree, you should be sitting pretty. Computer scientists create powerful new technologies and solve roadblocks that come up when producing advancements. Computer scientists, also called information scientists, are the geniuses behind smartphones, tablet computers, and GPS computers. They solve complex problems in society by developing computer programs, software, and applications. If you become a computer scientist, you will design new technologies and advance old technology into something better than before. You will work in various settings, like government agencies and engineering firms, on things such as database and information theory to numerical analysis, algorithm, and data structure design. 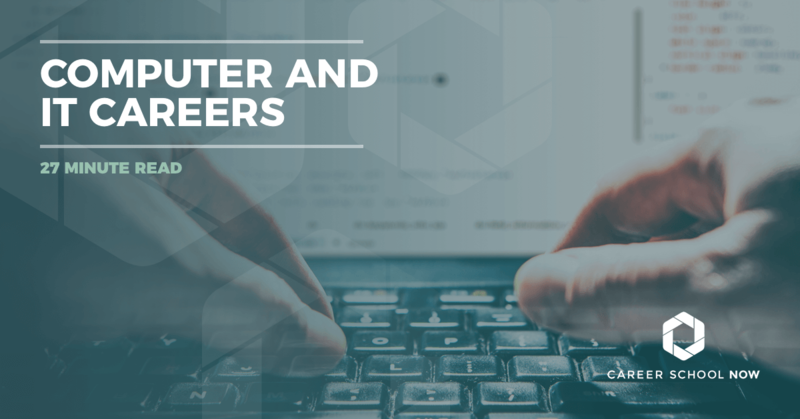 You can be found working as part of a research team, full of computer programmers, information technology professionals, and mechanical or electrical engineers. Your team will investigate technological topics such as artificial intelligence, robotics, or virtual reality. By researching such topics, advancements toward new hardware or computer software can then take place. Executing such advanced and technical skill work in the computer science field takes close attention to detail, proper communication skills and strong math skills; and most importantly, a well-rounded education. By earning your master’s, you will learn in-depth details about hardware and software systems, computational modeling, and program languages—all skills that will only advance and further a career in the computer science field. When you first start out in your computer scientist career, you will earn $65K. However, once you start getting the experience, your median pay will go up to more than $111K, with many in the top 10 percent of your field making a little under the $170K mark annually. A much faster than average employment growth is being projected for the field of computer and information research science. An opening of 5,400 positions, a growth of 19 percent, is expected through 2026. With the constant demand for technology that’s the latest and greatest, the demand for computer scientists will be persistent, as well. Computer engineers are the reason your Internet loads so fast, you can secure your laptop with a password, and your software doesn’t crash every 20 minutes. As a computer engineer, you are responsible for helping computers work correctly by creating and testing their software. You play a vital role in the successful functionality of a business or home office computer. You can work in a variety of workplaces and perform will tasks with team members. You might do the research and design of circuit boards, routers, and other computer equipment. Developing new computer games, business applications, or an entirely new operating system may also fall to you. Additionally, your tasks might include developing a company’s computer system, keeping it up, and providing tech support when needed. Regardless of which process you may be a part of, an education in the computer engineering field is crucial for success as a programmer. An associate’s degree in computer science or a related field is a good first step, but you’ll need to move onto a bachelor’s degree. You are required to get a bachelor’s degree in computer science. These degree programs cover database design, systems analysis, critical thinking and technical writing. You’ll also need your master’s degree, it will greatly increase job opportunities in the computer engineering field. Computer engineers should be able to share ideas and instructions easily with teammates, and you need to think carefully through problems. Without these, your projects could result in disorganization and misunderstood directions. Many computer engineers are working with clients on a regular basis, making it necessary for them to have the ability to express computer information in simpler terms for basic understanding. Computer engineers who are in the early phase of their career will earn a median salary of more than $66K. Once you have a few years of experience, your pay will fall around $115K to well over the $175K mark. Employment growth is projected to remain about average through 2026, with about 4,000 new jobs available. But much like most other IT and computer careers, there will still be a strong demand for computer engineers as more companies do more with technology. Computer programmers teach computers to follow instructions so they operate correctly. These instructions have been created by software developers and engineers, with the intention of being written into a coded software program that a computer will be able to read. You, the computer programmer, translates programs written by software developers and engineers and turns them into a code the computer is able to process. You’ll update and maintain computer programs, as well as consult with the management team to determine the program’s intent. From writing programs in computer code to documenting program progress and conducting trial runs, you need to make sure the coding was correctly placed. If it doesn’t work the way it’s supposed to, then you’ll have to make corrections until it does work right. Some programs, such as mobile apps, are more simple to code and can take just a few days to write. Others, like computer operating systems, are more complex and can take months or years to complete. Revisions and repairs are frequently necessary due to the length of time that passes when coding a program. Sometimes, you’ll find your job duties will run into those of software developers. When a programmer and software developer’s roles overlap, the computer programmer will not only be responsible for his or her duties regarding the coding of the program but also the designing of the program itself. A job in computer coding and programming requires dedication and a college degree. To enter the field, you’ll need an associate degree at minimum. During your education, you will receive instruction in computer languages, how to write code, and how to debug programs. You’ll get hands-on experience through internships and classroom participation. Bachelor’s degrees are available, and more and more employers are preferring their programmers and coders to have one. Keep up with your education through seminars and classes. It’s a necessity due to how quickly technology advances. To increase job prospects, you can choose to become certified in specific programming languages or programming products. The Bureau of Labor Statistics predicts an 8 percent decline in employment growth for programmers and coders. However, this number seems unrealistic because of the tremendous growth of technology driven companies who are constantly looking to hire qualified programmers and coders. BLS also states that the decline is due to offshore hiring. While that may be part of a foreseeable issue, the fact is that many companies who do hire programmers and coders from other countries often start looking to hire onsite. Between time zone differences and language barriers, employers are beginning to find value in offering compensation to potential employees that are local. So, if you’re planning on going into coding or programming, don’t let the BLS statistic dissuade you, because the more qualified you are, the more job offers you’ll receive. Median salary for programmers and coders is $80K, with the top 10 percent earning more than $130K annually. You might actually find yourself in the middle of a salary bidding war based on your skills and end up with an even higher salary. It’s actually a great time to go into this career, when so many sectors are becoming tech related, from retail to cars to homes and beyond. Check out online Cyber Security programs, which are great options if you are proficient in programming and coding. An information systems manager is a business executive who manages and implements computer and information technology systems. These executives improve the productivity and organization of a corporation. There are a lot of different titles attached to this job, from IT managers to IT project managers. With corporations increasing productivity, hiring more employees, and needing an effective organization plan, you are a critical implementation to the corporate setting. You’ll be responsible for managing and implementing computer and information technology systems throughout the business you work at. As an information systems manager, you are taking charge of each computer system within a company, which can become an overwhelming and stressful task. It is your duty to oversee installations of a system, purchase equipment such as hardware and software, and evaluate user needs. Additionally, putting a budget in place for new technology equipment, comparing competitive prices, recruiting and training new employees, implementing backup software in case of a crash, and attending informational workshops are a part of the day-to-day routine. Each task must be executed appropriately and effectively, as well as follow the software licensing laws. For most employers, hiring an applicant with a bachelor’s degree allows for growth and improvement, but a prospective employee with a master’s degree is preferred. Earning an MBA in Information Technology Management can set you apart from other applicants and show an employer that you have a strong passion for this particular field. During your education, you will learn how to apply concepts of globalization to business challenges, evaluate up-and-coming technologies, apply business principles, and assess financial risks—both statistically and economically. Having the ability to achieve a management position requires a capability to direct others. Staying current on business and technology is also necessary for the position. The further you push the educational outlet, the more opportunity you will encounter in the job market. A career in IT systems management will give you an entry level salary of $82,360. After you have gained some experience and time on the job, your average salary will be more than $135K, with the highest earners making $208K annually. IT systems management is a career that is projected to grow 12 percent through 2026. This is faster than the average for other occupations. This field is expected to continually grow, since more industries are becoming centered around technology. Technical writers think from both a consumer and producer standpoint as they complete the multitude of work on their plates. They establish simple ways to explain complex concepts in print and digital documents, as well as for videos. Additionally, technical communicators must proofread all of their work for spelling and grammar errors and provide new editions every couple of years. In your writing, you will need to clearly explain every detail of a system or product to a reader/consumer through journal articles and instruction manuals that explain the product in basic terms. The hope is to help the consumer troubleshoot an issue themselves, without having to call 24-hour helplines. You will help improve the traffic flow within the technical support systems by creating how-to manuals, assembly instructions, references, and “frequently asked questions” pages. Working with a team of various individuals such as hardware engineers, computer support specialists, and software developers, you need to manage the flow of information among team members while the testing process is occurring. Changes and improvements are usually addressed more efficiently when sharing and collaborating with the rest of the team. Most employers expect a technical writer to have a bachelor’s degree in journalism, English, or communications. Through the education process, you’ll learn how to write in a professional manner, embrace your creative strengths, and communicate accurate technical terminology in a simple way. Having a degree—as well as knowledge in a specialized field such as web design—provides an employer with the reassurance that you can perform the job efficiently and correctly. There are a few voluntary certifications available to you. The Society for Technical Communication is one organization that provides credentials. If you are a technical writer in the medical industry, then you can look into the American Medical Writers Association for both continuing education and certification courses. Technical writing is one of the more profitable forms of a writing career. The median annual salary you stand to make is $69,850. With experience, you can earn more than $111K. Many tech writers work freelance, and depending on how you choose to bill your clients, you can work per project or on an hourly basis. Technical writing is typically a full time gig and, depending on how you work, you may end up with more than 40 hours as you move closer to deadlines. Employment outlook for your chosen field is projected to be 11 percent through 2026. This is faster than the average for other occupations. There are about 5,700 jobs expected to be available through now and 2026. Online Computer & IT courses allow students the opportunity to access material when it’s most convenient for them. You can use an online learning platform to access and submit assignments, download lecture notes, watch instructional videos, and communicate with your peers and instructors. Many schools offer online computer courses as individual courses or as part of a larger online bachelor’s or master’s degree programs in information technology, computer science, and related fields. These programs emphasize a variety of practices and theories that prepare you for opportunities in cutting-edge technology. Students should look for technology-related programs that are recognized by the Association of Technology, Management, and Applied Engineering (ATMAE). ATMAE acknowledges the importance of standards for technology and encourages continuous quality improvement through evaluation processes.